Alumna Samantha Hubner, a May 2016 Belmont graduate, recently announced an international book drive for middle and high school students living in the small city of Quzhou, Zhejiang, China. 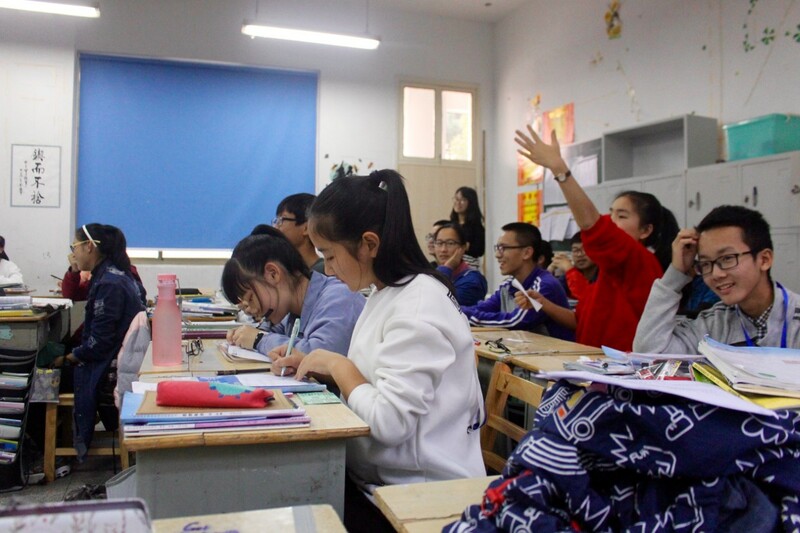 Hubner is currently working in Quzhou as an educational ambassador and English teacher through the Ameson Education and Cultural Exchange Foundation, a nonprofit dedicated to the promotion of programs that facilitate cultural and educational exchanges worldwide. For the rest of the month, Hubner will be accepting mail donations of books at the middle or high school reading level in any genre to help aid her students in practicing their English language skills. In exchange for donations, one of Hubner’s students will send a thank you postcard to the donor sharing why learning English is important to him or her. Hubner said the idea for the book drive recently came to her when she was talking to her first-year high school students about English books. She realized that even though most of her students had been learning English since primary school, almost all of their practice reading had come from textbooks. Paired with her desire to get fellow Americans involved in her work overseas, the international book drive was born.